In the news from Spain this week there are some very encouraging statistics about the economy and employment. British residents will be happy with an agreement between the UK and Spain post-Brexit and we say goodbye to one Euro bank note. If you’re a bit of a beach bunny, good news: ours are some of the best in Europe. Daily flights from Málaga to the Big Apple open a new route to overseas buyers. Despite signs of a general worldwide slow down, Spain ended 2018 with 2.5% growth. So says INE, the Spanish Institute for Statistics. The rate is below the 3% recorded in the two previous years but Spain is still doing better than the rest of the Eurozone. More spending by Spanish households and increased exports are responsible for the growth. The rest of Europe posted a growth rate of just 0.2% in the last 3 months of 2018. Thanks to this, unemployment is down with 2018 seeing the largest increase in the creation of jobs for 12 years. This year’s economic forecast is growth of 2.2%, however this could fall because of continuing problems in the EU and as a consequence of increased tax rates. Get your free tickets to Your Overseas Home while they last. Your Overseas Home is specifically for serious buyers looking to purchase in the next 12-18 months and is a chance to meet expert, Spain-based estate agents, lawyers, currency providers, IFAs, removals experts and more. All is not as rosy as it may seem: the socialist government is hanging on but is in the minority and is finding it more than a little difficult to get its budget passed in parliament. If it fails, they will have to call early elections, which will be disruptive to say the least. An agreement has been reached by the UK and Spanish governments to allow British residents to vote in Spanish local elections after Brexit. This is particularly welcome news as the next round of local elections will be in May when people can have their say about who runs the local Town Hall and how local taxes are spent. These things matter to people because they directly affect daily life and it is also welcome news to British citizens who currently hold seats on local councils and who were afraid they could no longer stand following Brexit. You might be surprised to learn that 30 local councils in Spain have at least one British council member. You might be surprised to learn that 30 local councils in Spain have at least one British council member. There is a caveat though – anyone who had not voted in the past had just until 30 January to register at their town hall to vote in May. Out of the 300,000 British registered as living in Spain only 90,000 are entitled to vote. This means that around 210,000 British people have not exercised their right to vote. Imagine what a difference they could make to local politics and local council decisions? Perhaps the thought of clean sandy beaches with an azure sea is just what one dreams of in February? Well, look no further than Spain to enjoy this reverie. Actually 8 are named as amongst the best in Europe though no doubt there are more which are hidden and didn’t make the list. No 3 in Europe is Platja de Formentor on the island of Mallorca. Surrounded by mountains, this beach with its fine sand is indeed a haven and easily reachable by plane or even ferry from the Spanish mainland. Playa de Papagayo on the island of Lanzarote in the Canary Islands is one of the few beaches with golden sand in an area noted for its volcanic black sand. It is sheltered and usually calm, perfect for children. 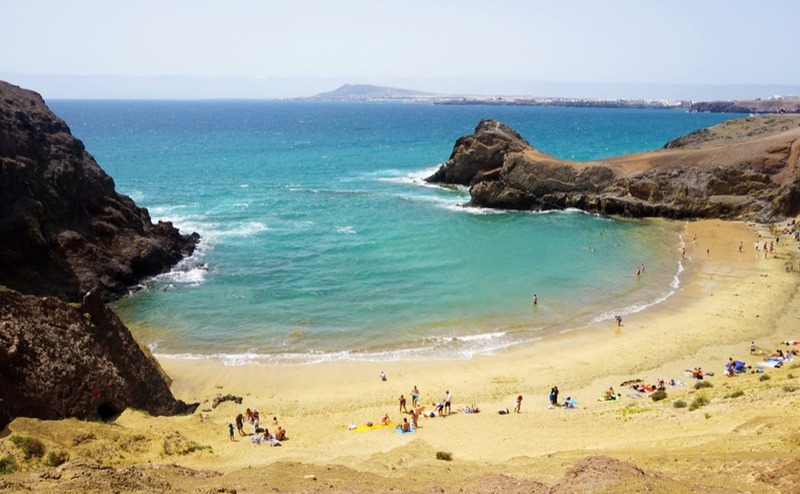 Playa Papagayo is one of Spain’s best beaches – and one of the few beaches in Lanzarote with golden sand. At no 11 is a beach in Galicia. The region on the Atlantic coast isn’t perhaps where you would immediately think of for a beach holiday but the summers are pleasant enough and Playa de Catedrales is likely to be free of the masses and is so named because of the massive rocks shaped rather like the arches of a gothic Cathedral. Another island has the accolade of beach no 13, this time Ibiza and Aguas Blancas. Located on the most exclusive part of the island, far from madding crowds, this beach has a turquoise sea and is unspoilt. Back in Lanzarote another beach has made Europe’s top 50, this time Playa del Charco de los Clicos. It’s not a conventional beach though, more of a lake separated from the sea by a black volcanic sand and is part of a hidden, underwater volcano. Galicia also has beach number 29. Playa de Rodas, Cíes Islands. The islands are remote and virtually unspoilt and unknown to the wider world. Much sought after by nature lovers and walkers, this beach is a world away from the traditional bustle of the Spanish costas. 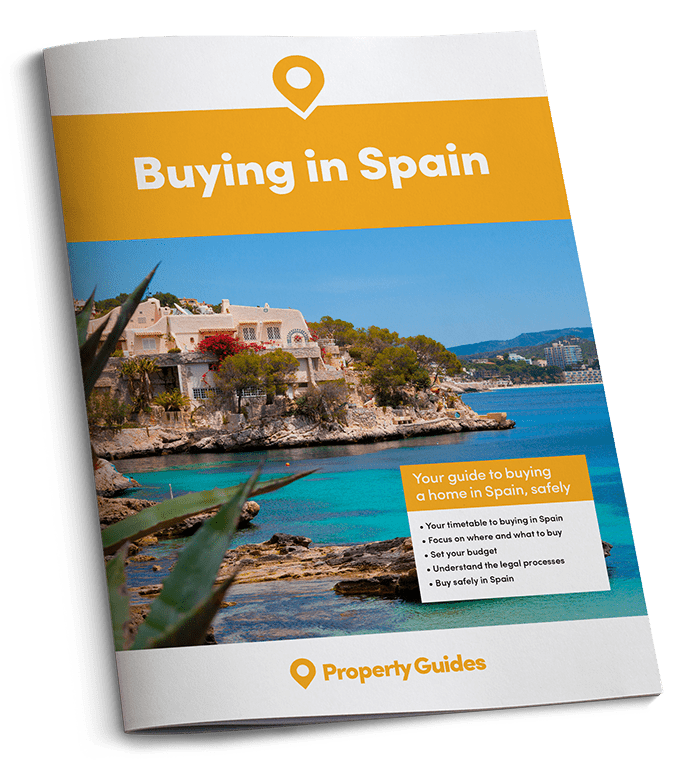 If you are ready to buy in Spain within the next few months, call our friendly Spain Resource Team on 020 7898 0549 or email Spain@propertyguides.com. Next we turn to Javéa for number 47. Cala de Ambolo, currently closed to the public. It has a dangerous downwards path amongst the cliffs, considered too ambitious for most people and so is surrounded by signs warning people to keep away. It is hoped that it will again be accessible following its placement in the best of Europe’s beaches list. Finally, back to the Canary Islands but this time to Gran Canaria for Güi Güi beach which is somewhat remote and resembles the Grand Canyon. It is placed at number 49 because of its stunning landscape but is definitely best approached by boat. Spain, together with other countries in the Eurozone, has begun to withdraw €500 notes from circulation. They are still legal tender but banks are obliged to return them to the Bank of Spain. Surprisingly, Spain had the most number of €500 notes in circulation until recently but now they are a rarity and apparently only make up 2.4% of the world’s banknotes. €100 and €200 notes are also becoming less visible, mainly because they are a problem to exchange in most shops and petrol stations. The Central European Bank has announced it will introduce new designs for them in May, in the same styles as the lower denominations of the €5, €10, €20 and €50. Which supermarket is the most popular? The Local recently ran a poll of readers to discover which supermarket gives the best shopping experience. The result put the Spanish supermarket, Mercadona, in top position. In fact Mercadona is the sector leader, taking 24% of the Spanish grocery market. Founded in Valencia in 1977, it now has a vast number of stores in Spain, 1635 of them! Known for good quality at reasonable prices and its own brand, Hacendado, it is also the most popular supermarket for the local population. Number two in the poll is French supermarket Carrefour. I suspect it is the runner up because their larger stores do stock a lot of British foods as well as other international brands. Third comes Lidl. No surprise here, as it is liked for its weekly special offers and low prices. Aldi, Alcampo and Consum also fared well in the poll. Great news for parents of young children in the Spanish capital. From this year, the Town Hall has agreed to fund free care for babies and toddlers from newborn to 3 years’ old in public daycare centres. 8768 children will now benefit in the 69 public centres from the next school year, starting this September. It is expected to cost in the region of €1 million each year but the Mayor of Madrid, Manuela Carmena, anticipates that it will improve standards in early education as well as helping families to achieve an improved work/life balance. The Organization for Economic Co-operation and Development (OECD) says that education for the very young improves their future achievements in school, in particular the performance of children from poor and disadvantaged families. When you do decide to buy in Spain, Smart Currency Exchange is the specialist in exchanging your pounds into euros. They have two offices in Spain too, in the Costa Blanca and Costa del Sol, as well as in London, and are ranked #1 for money transfer on Trustpilot. Read Smart’s Property Buyer’s Guide to Currency here. It is not compulsory to send an infant to a daycare centre as Spanish law provides places for children from 3 to 6 and this is free but early education for babies to 3 years’ old is not.1.2 million children between 3 and 6 are currently in schools which represents 97% but only 37.9% of under 3s attend day centres. 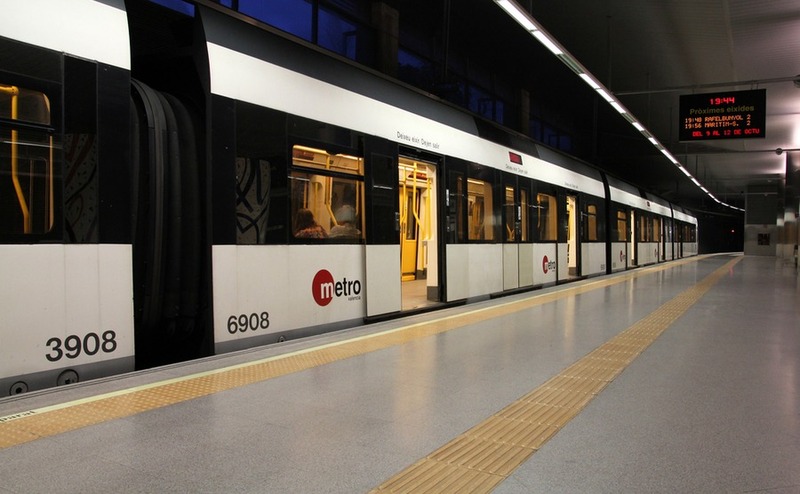 News this week finally confirms that the long awaited metro link from Valencia’s main station to the City of Arts and Sciences is going to be built, starting this April. Line 10 as it will be known, was first mooted in 2011 but failed to become a reality because of a lack of funding. In this year’s budget €50 million have been allocated so work will begin in a couple of months’ time. This new line will be 5.2 kilometres long but there are plans to extend the line to the coast and the marina. People living on the Costa del Sol will now have the opportunity to fly to New York from Málaga International airport. The service will open on May 24th and continue until the last days of September. It is offered by the American airline, Delta and the daily flight will leave Spain at 8.15 am, arriving in New York’s JFK airport at 10.35 pm local time. The return daily flight will leave New York at 5.05 pm and will land in Málaga at 6.50 am local time. The airline offers many comforts on board including WiFi and onboard messaging with iMessage, Facebook and Whatsapp. 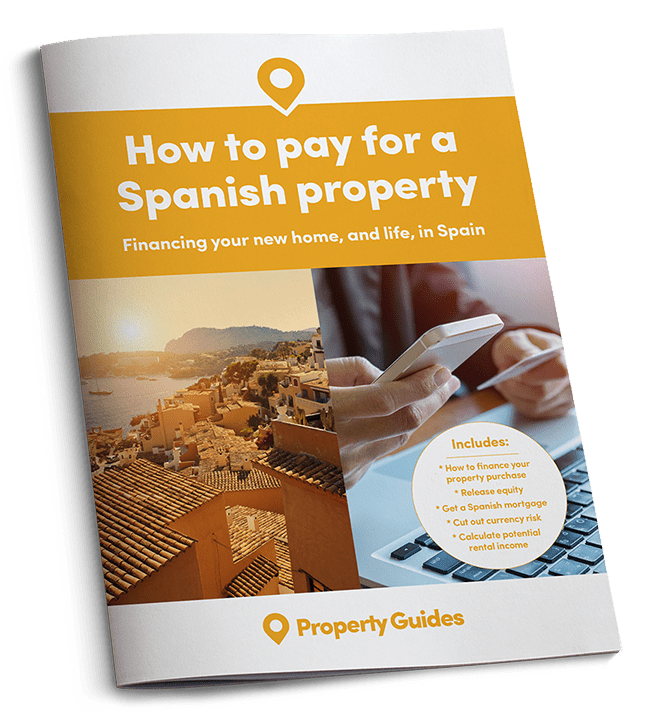 During her many years in Spain, Sally has moved several times, bought property, sold property, let out an apartment to tourists and currently rents an apartment. She says: "20 years as an expat have taught me many things and given me wonderful experiences, laughter, tears, friends and a very tolerant view of life. I have never regretted it, even in difficult times. I cannot imagine living any differently. I don’t think Brexit will stop people seeking a home in the sun, in fact it may make them all the more determined to find one."